Police in Fayetteville, N.C., say they're investigating the death of Marinna Rollins, 23, as a suicide. 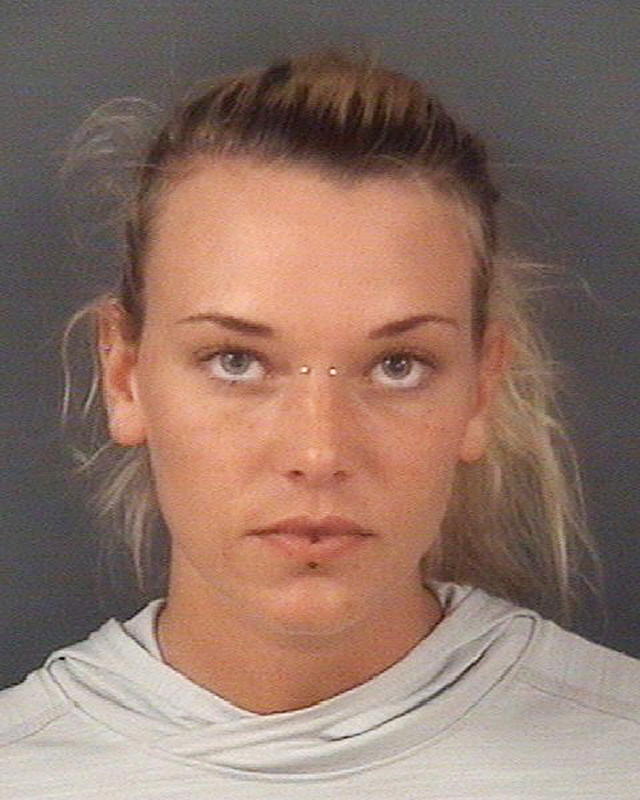 An Army veteran from Windham who was accused of tying her emotional support dog to a tree and executing it with a rifle while videotaping the shooting and then posting it on Facebook was found dead Sunday in her North Carolina apartment. Lt. Todd Joyce of the Fayetteville, N.C., Police Department confirmed that officers were called early Sunday to the 5600 block of Netherfield Place, where they discovered the body of Marinna Rollins, 23. Joyce said police are investigating Rollins’ death as an apparent suicide. Fayetteville police were notified by friends, who called 911 after discovering her body around 3 a.m. Friends went to her apartment after being unable to reach her. “There was evidence that our detectives were able to locate that suggested this was a suicide,” Joyce said. He said the investigation is continuing. Rollins’ apparent suicide took place just nine days before she was scheduled to appear in a Fayetteville courtroom to answer charges of felony cruelty and conspiracy. Rollins grew up in Windham and was a 2012 graduate of Windham High School. Her boyfriend, 25-year-old Jarren Heng, who authorities said participated in the execution of her therapy dog, Huey, on April 16 or April 17, was scheduled to appear in court with Rollins. Rollins and Heng were arrested and put in jail, but later released on $25,000 cash bail each. Their court date was set for May 16. People incensed by the killing of the dog, a pit bull, were planning to hold a large-scale demonstration outside the courthouse on that date. According to the Cumberland County (N.C.) Sheriff’s Office, Rollins and Heng last month drove to a remote wooded area, where they tied Huey to a tree. Rollins, who renamed the dog Camboui after her estranged husband let her take the dog for therapy purposes, suffered from post-traumatic stress disorder, according to authorities. Rollins shot the dog five times in the head while Heng videotaped the killing, according to the sheriff’s office. It said Heng also shot the dog five times with a rifle. Heng serves in an Army Special Operations Command unit. Before shooting Camboui, Rollins posted on her Facebook page “that she was sad her dog had to go to a happier place,” the sheriff’s office said. Police became aware of the execution after someone notified authorities that Rollins had posted the video on her Facebook page.